This entry was posted in Breakfast, Indian quick and easy recipes, kids creative recipes, kids recipes, sandwich recipes, Snacks and tagged back to school, indian quick snacks, kids quick recipes, kids recipes, Kids sandwiches, lunch box ideas for kids, lunch ideas for kids, sandwiches ideas, sandwiches recipes, Snacks, veg quick snacks, veg snacks. In a small bowl, mash avocado with lime juice and season with salt. Cut the edges the of the bread. Spread butter on the outside of each slice of bread, then spread avocado on both the slice. Top with cheese,ketchup and close sandwich. Or pack for kids lunch box. This entry was posted in Breakfast, Healthy recipes, Indian quick and easy recipes, kids creative recipes, kids recipes, sandwich recipes, Snacks and tagged avocado cheese sandwiches, Bread sandwiches, Cheese sandwich, easy recipes, easy sandwich recipe, kids creative recipes, kids quick recipes, light snacks, lunch box ideas for kids, lunch ideas for kids, sandwiches recipes, veg snacks. Spread some whipped cream on one side of two slices of bread (not too thin, but not too thick). Place fruits on the two slices of bread. Put one layer of sliced fruits over cream on the bread. Spread some more cream over fruits. Place another slice of bread on top of the cream. Wrap the sandwiches with plastic wrap and refrigerate for 1-2 hours. Remove the plastic. Cut crusts out and cut the sandwich into 4 pieces diagonally to make triangle shapes. You can pack these sandwiches in kids lunch box. This entry was posted in Breakfast, fruits recipes, Healthy recipes, Indian quick and easy recipes, kids creative recipes, kids recipes, Snacks and tagged easy and quick snacks, easy recipes for kids, Fruit sandwich, Fruit sandwich recipe, kids creative recipes, kids quick recipes, kids recipes, light snacks, lunch box ideas for kids, lunch ideas for kids, sandwich recipes, veg quick snacks, veg snacks. Check out how to make this simple and easy recipe Corn Kebab. Crush the corn kernels in the grinder, to get a rough paste , please do not add any water. Mix this coarse paste with potatoes,ginger,cheese,green chilies and salt. Divide mixture into equal parts and shape them as kebabs. 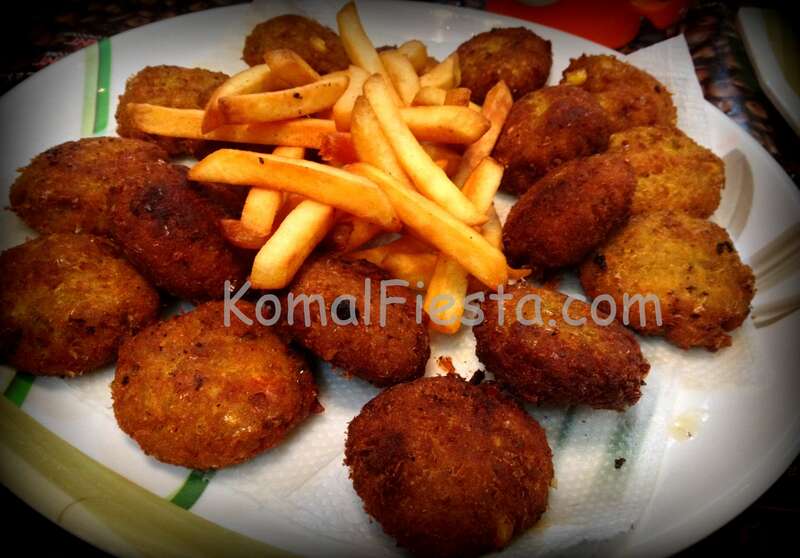 Deep-fry the kebabs in hot oil until they are golden brown in colour and drain on absorbent paper. Fry it for about 10 minutes and serve hot with any chutney of your choice. You can even serve it as a side dish with french fries. You can add any veggies of your choice like shredded cabbage or fine cut capsicum. This entry was posted in appetizers, Indian quick and easy recipes, Ramadan Iftar Recipes, Snacks and tagged corn kebabs, corn recipes, indian easy snacks, kids creative recipes, kids quick recipes, kids recipes, light snacks, non veg snacks, quick snacks, Ramadan Iftar Recipes, ramadan recipes. Easy-to-make pinwheels also called as roll ups is a very healthy and quick appetizer for get togethers or parties. They are great alternative to the sandwich and kids seem to love them due to their cute shape and size. Threading them on skewers or toothpicks to help them hold their shapes, makes a fun presentation for school-aged kids.You can even pack these pinwheels for lunch for kids, so no more lunch box boredom! Pinwheels be prepared using meat and veggies with some spreads or even the plain vegetarian roll ups are very tasty. Today I am going to share you healthy Avocado pinwheel sandwich.I used bread to prepare these pinwheels with avocado and cheese.You can even use any tortilla or whole wheat roti instead of breads. So let’s start with it. Flatten the breads with the roller. Apply mash avocado to the first slice of the bread. Place one cheese slice on the second slice of the bread. Flatten and apply ketchup on the third slice. Finally apply mash avocado to the last slice of the bread. Now cut the roll into ½ inch wide pinwheels gently. Thread the pieces horizontally onto bamboo skewers(snip off the pointy tips for safety).. Serve your kids with this real quick ,simple and yummy dish. One large bread will make about 4 pinwheels. This entry was posted in appetizers, Indian quick and easy recipes, kids creative recipes, kids recipes, Snacks and tagged avocado pinwheel sandwiches, chicken appetizers, indian easy snacks, indian quick snacks, kids appetisers, kids creative recipes, kids party ideas, kids quick recipes, light snacks, lunch box ideas for kids, lunch ideas for kids, party ideas for kids party, pinwheel recipes, Pinwheel sandwich. Homestyle potato chips is really loved by my kids.It’s fun and easy to cook for them.I like to use olive oil because it has less trans fats, but you can use any oil of your choice. Transfer the potato in the cold water as you slice. Washed the potato well.Drain, and rinse, then refill the bowl with water, and add the salt. Let the potatoes soak in the salty water for at least 15 to 30 minutes. Drain, then rinse and drain again. Add turmeric powder and salt to the potatoes. Heat oil in a pan . Fry potato slices in small batches. Once they start turning golden, remove and drain on paper towels. Continue until all of the slices are fried. You can even serve it as a side dish with dal rice or ketchup. Applying salt to the sliced potatoes prevents it from turning black. You can also use deep-fryer and set it to 365 degrees F (185 degrees C) for frying. This entry was posted in Indian quick and easy recipes, kids creative recipes, kids recipes, Snacks and tagged chips recipes, homestyle potato chips, indian easy snacks, indian quick snacks, kids creative recipes, kids quick recipes, kids recipes, light snacks, non veg snacks, potato chips, potato recipes, quick snacks.